In Frederico Azevedo's landscape projects, harmony is the key word. Award-winning designer, Frederico Azevedo, and his team of plant care specialists can help you decide the best way to improve your landscape. 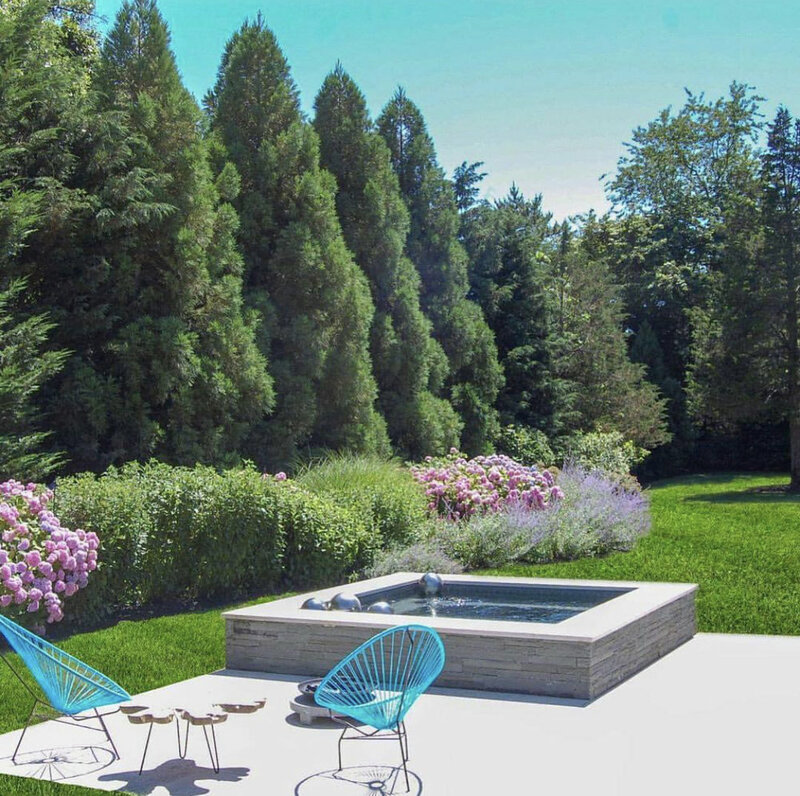 Frederico Azevedo’s renowned gardens incorporate the natural landscape into a comprehensive landscape design. His understanding of both architecture and the environment give a perfect balance to each of his designs. The landscapes that Unlimited Earth Care has made are hidden, yet revealing, calm but colorful, romantic but structured all at the same time. However above all else, he creates a garden of sustainable plants in an unforgiving environment. Unlimited Earth Care works closely with the best team of gardeners, ecologists and arborists to provide a holistic approach to each property in context with its surroundings. The key to a healthy garden starts at the roots. Unlimited Earth Care will start your garden off right each season with a general overall cleanup, pruning, trimming, and mulching of all garden beds and borders, as well as individualized garden, shrub and tree fertilization programs. Let the professional team at Unlimited Earth Care keep your landscape pristine week after week with maintenance programs tailored to the needs of each clients’ individual property, large or small. Regular maintenance includes pruning, weeding, staking, dividing, edging, “dead heading”, cutting back flowering shrubs, raking, soil cultivation and spreading of compost. Unlimited Earth Care will prepare your landscape for the fall and winter months. cutting back of flowering and perennial shrubs, “burlapping” or protective wrapping and deer fencing. At this time, bulbs are planted for the upcoming spring and fertilizer is applied to your gardens, trees and shrubs to keep them well-nourished through the harsh winter months ahead. Unlimited Earth Care knows exactly what your lawn needs to thrive and has developed an effective program to produce a thick, lush, green lawn using environmentally friendly products. The program includes; lawn mowing, raking and blowing of grass clippings, lawn lime and fertilization programs, pest and disease control, seeding, aeration and sod installation. Is your current landscaper intimately familiar with all the plant materials in your landscape? No. Do they hand trim smaller shrubs such as Boxwoods to avoid “burning” or harming them with a machine? Probably not. However, our professional crews are second to none, with decades of combined experience caring for the East End’s finest landscapes, where no detail is too small. Unlimited Earth Care offers complete irrigation system management and maintenance because proper irrigation is critical to every landscape. From opening to winterizing your system, replacing broken sprinkler heads, adding drip hoses or zones to an existing system for newly landscaped areas, or managing a complete irrigation system overhaul.